Edited by DeadArashi, 10 December 2018 - 11:53 PM. The second tier 8 premium for a nation who does not have tech tree mediums beyond tier 7. 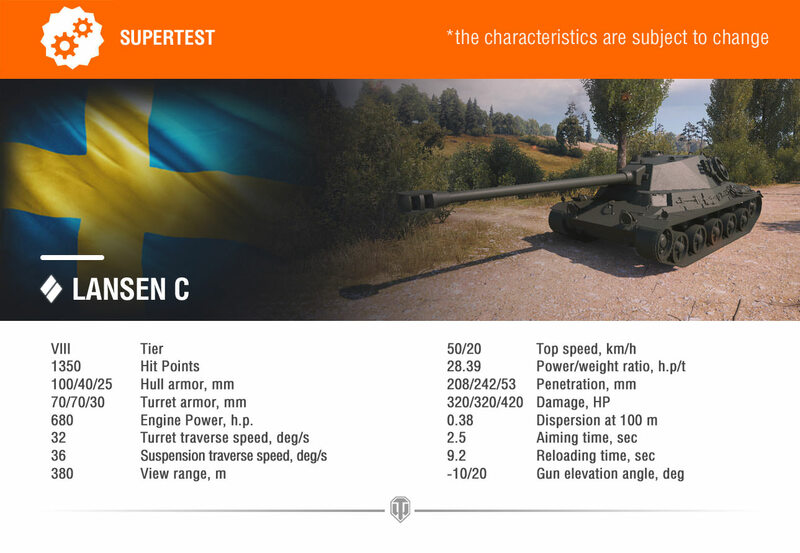 Swedes now have a tier 6 autoloader, tier 8 centurion and now gonna get one more. In comparison Czechs who only have one line of mediums up to tier 10 are only having a tier 6 premium and one that does not play like the higher tier tanks. WG if you read comments on the forums, please work on premiums which will be useful, not on redundant premiums. even if the swedes are getting a med line up to tier 10, they already have a tier 8 premium crew trainer. Give us a czech tier 8 crew trainer. The USSR premium stable says hi. Is a nation really a nation if there aren't 17 premium tanks* at each tier? *Disclaimer: USSR may not actually have 17 premium tanks at each tier. Ok i may have over reacted. but wouldn't the higher tier swedes being more cent like be more suitable. Also, i still want the tier 8 czech prem! Also can you compare this to the TVP VTU with the 105? seems pretty similar to me i guess. Well one of the Cent tanks is the Strv 81 which is already a tier 8 prem. There is the option of the Centurion Mk 10 (Strv 101) and the Strv 102 (Strv 81 rearmed with the 105mm L7). Edited by DeadArashi, 06 December 2018 - 12:40 PM. Because they play different from tech tree tanks, they are made into premiums. Need to pad the tier 8 mm. In typical WG style once the line actually comes out it will be superior to the tech tree one ( Chinese TD, French Heavy, Italian Medium ). Nice to know about other swedish tanks. but if i personally have to chose between tanks which saw service and tanks which we prototypes i would prefer ones which saw service. but WG prefers tanks which were only prototypes/ designs on paper because then they can work easily with them. For example this has more armor than the tvp, but weighs less. It is pretty similar to the tvp as much as i can see from the stats. better mobility and one extra shot per minute on the tvp. mobility is on par with the CDC (wonder how much they will vary the soft stats). To be fair, the weight to armour is because WG gave it more armour then it was historically designed with (WG being WG here so this shouldn't be surprising). 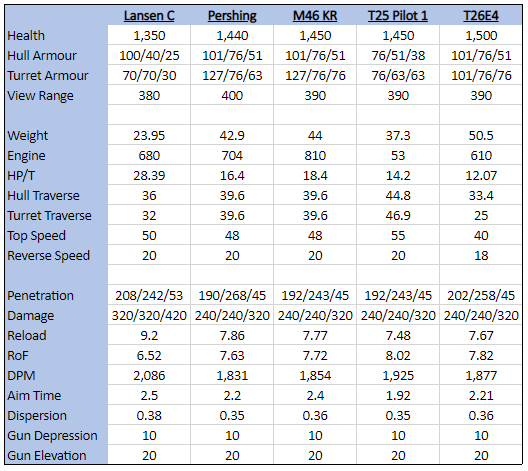 If you compare the historical armour, it's less then the TVP so the lower weight does make sense. While 320 Alpha is above average for a Tier VIII medium, its accuracy and aiming parameters prevent it from being a reliable sniper. Coupled with the relatively low armor values, this will likely place the Lansen C into a Flex Support category, similar to mid-tiered US Mediums. On paper, I would liken the vehicle to a Tier VIII T20 with better mobility. You need to rely on your mobility and the excellent Gun Depression angle of -10 Degrees. The vehicle will excel at claiming key map positions early, engaging in some active scouting, then flexing to another flank for support. The Lansen is a ‘social’ vehicle – it fares better in a pack than it does in one-on-one engagements, so laying down solid, punchy, mid-range supporting fire is the name of the game. As always, stats are subject to change based on testing. 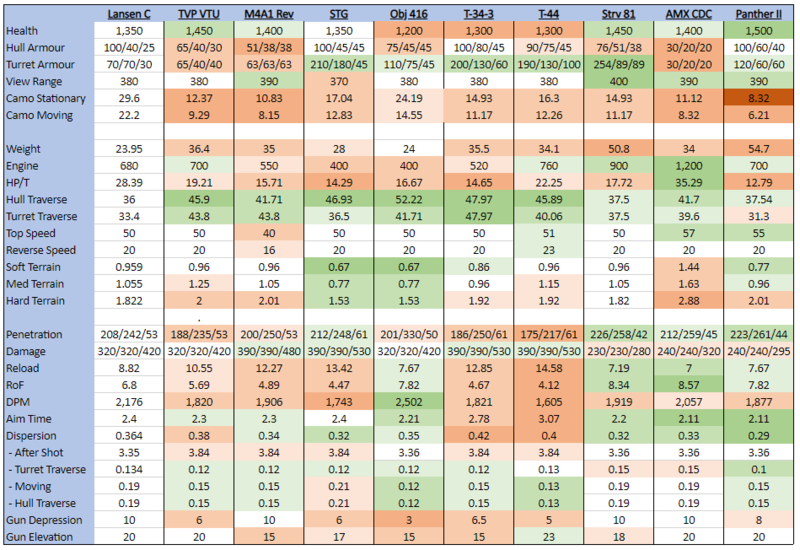 Yeah, the stats strike me as an all-rounder, so a comparison to the American MT line is appropriate. I do have a 4-person Swede MT crew sitting around doing nothing (unlocked the Leo just to use my extra Swedish reward crew but decided not to bother with the HTs). If the T9 or TX Swede MT are decent, I could see grinding that since I already have most of the line and a decent crew. Hm, so like an American MT with less armour and HP but far more vroom vroom (also slightly worse view range and slightly better DPM/alpha). This being one of those weird tanks where the hull is stronger than the turret is really annoying. Especially on a tank with -10 dep. Though the small profile of the tank should help, it will play very similar to the Leo mounting the 10cm gun. Inverse seems true lately. 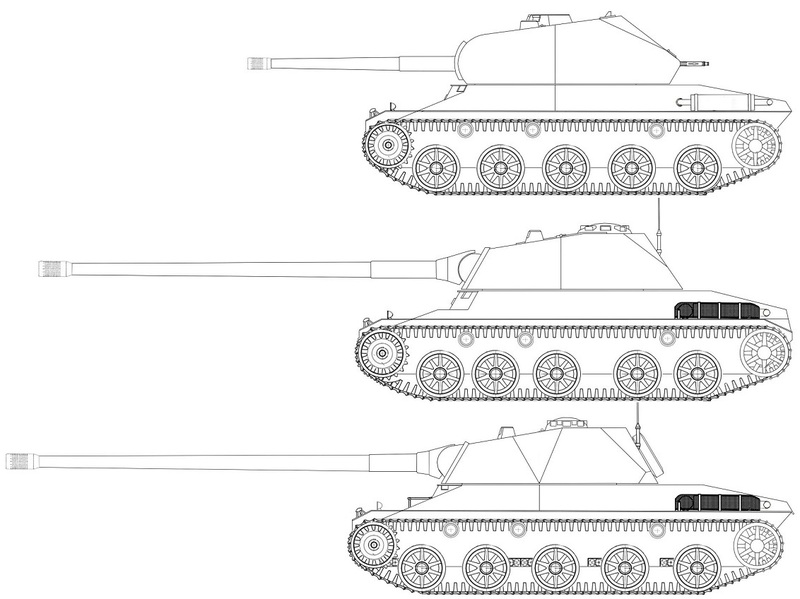 Strv S1 and AMX M4 49 are the premmies, the odd-one-out UDES and 65t are the tech tree tanks. That said DA, I'm surprised there's no impromptu history lesson, or a link, for the Lansen projects. In a thread you created. Well I can give a history lesson. The short and sweet of it was that the Lansen was originally to be a 19t light tank version of the Leo designed in 1948 armed with 75mm gun, 35mm of frontal armour and a 450hp engine. In 1950 its weight was increased to 25t and rearmed to 10.5cm. There was also a study for an even heavier version of the tank with 100mm of frontal armour but this wasn't preferable. Honestly, if we forgo the idea of a turreted TD branch for the Swedish then this would be the best way to do it since all three actually had mock-ups built. Edited by DeadArashi, 08 December 2018 - 12:39 AM. You should buy your free T2 TD and then sell it for a few free creds. Casting historical stuff aside and looking into the viability of the tank in Today's pub games , it looked decent which kinda put the older tanks like the TVP VTU in a bad position . However Lansen C's stats look great and would be fun to play without breaking the game too much and should raise the awareness that the older tanks need some buffing to make the battlefield more of an even ground .